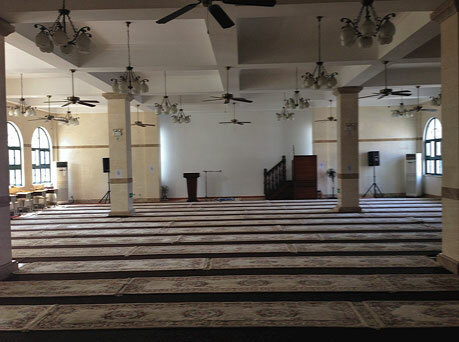 There are seven main mosques in Shanghai. 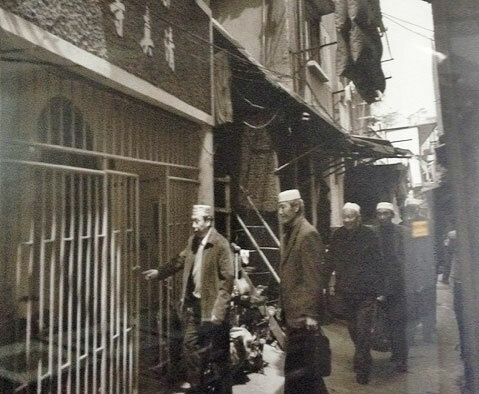 As Shanghai has expanded many have been moved, on multiple occasions. 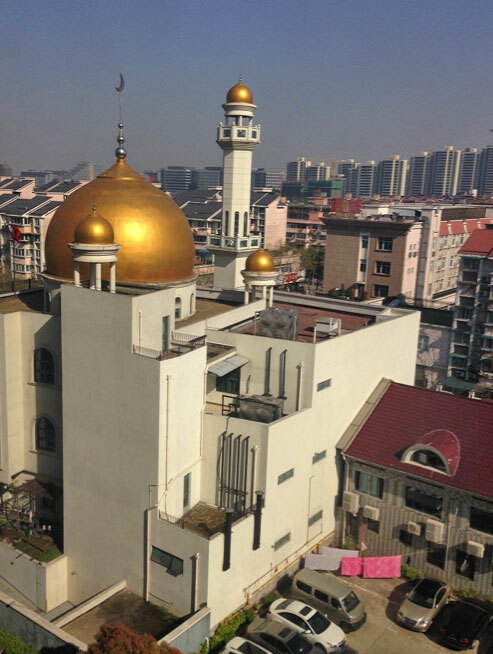 The oldest, at over 600 years old, is far out in the south-western suburban district of Songjiang (松江区) and is the exception that proves this rule, perhaps because it was already far from the fastest-paced centre of development. 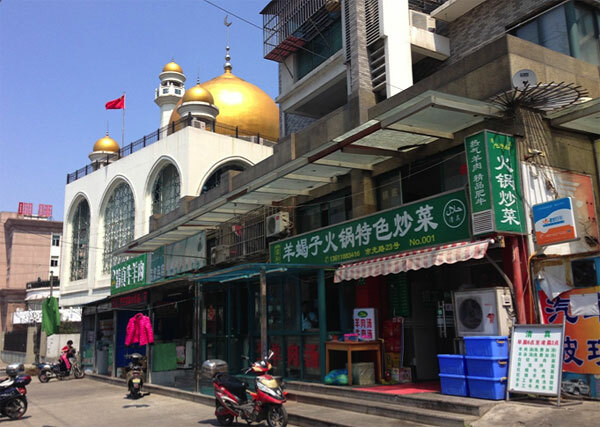 The Jiangwan Mosque, in the Yangpu District north of downtown Shanghai was first founded in 1928, and hosts about 500 worshippers on a Friday. 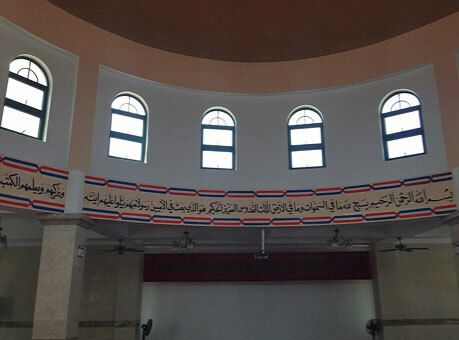 Nearby restaurants specialize in halal dishes. 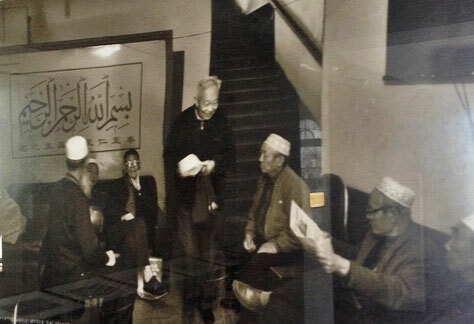 Now a large and well-funded building it also hosts an interesting photographic exhibition of Islamic culture in Shanghai, including pictures of Muslim centres in now re-developed parts of what was the old city. 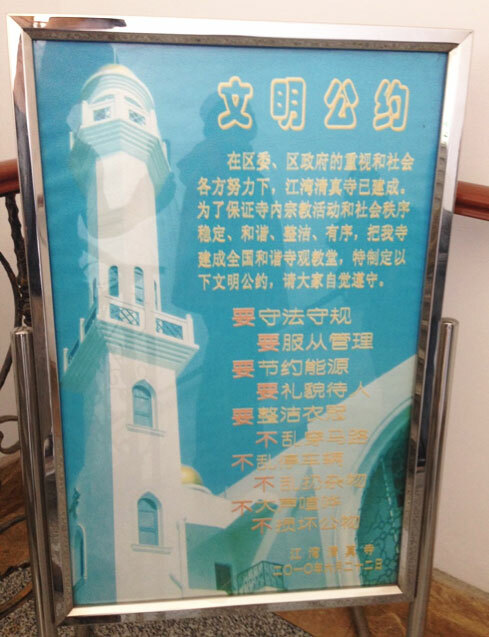 Dating from the 2010 Shanghai Expo, as in so many other public spaces in China, fairly standard but detailed lists of “Dos and Don’ts” to encourage polite civil behaviour greet a visitor even in mosques. 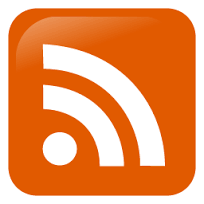 These include the stipulation to avoid making a loud racket.